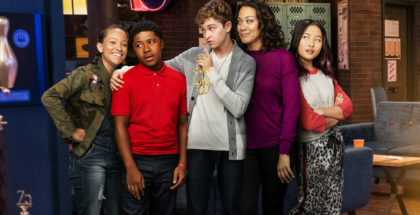 Poop, puke and clever jokes – Netflix's spin-off from the kids' movie is perfect family viewing. Spinning off from the hit kids’ movie (read our review here), The Boss Baby: Back in Business delivers a film’s worth of capers, dialogue zingers and toilet humour in each of its 10 25-minute episodes. 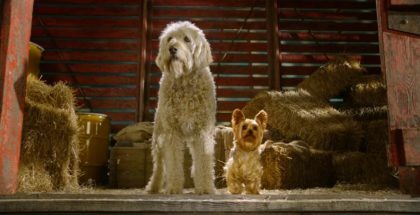 The big name stars of the film have been eschewed for more affordable voice talent, although they’re every bit as good. In fact, JP Karliak’s take on the titular infant – bringing to mind Will Arnott’s LEGO Batman – is arguably better. The set-up is the same as the film, with a cadre of babies secretly running the baby world to harvest happiness in much the same way as the monsters of Monsters Inc utilised human fear (nope, us neither – just go with it). Boss Baby, when not undercover in his high-chair, is a sharp-suited, egocentric moral vacuum – it’s easy to see why some people accused the filmmakers of making a veiled attack on Donald Trump – who faces a series of threats to happiness output. He particularly hates cats – secretly evil fluff-balls who adults often prefer to actual babies. 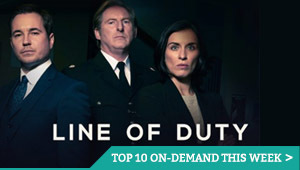 The season is best taken in small chunks – binge-viewing is the televisual equivalent of OD’ing on fizzy Haribo – but for anyone looking for something to co-watch with their kids, from very young up to teens, this is the show to stream. 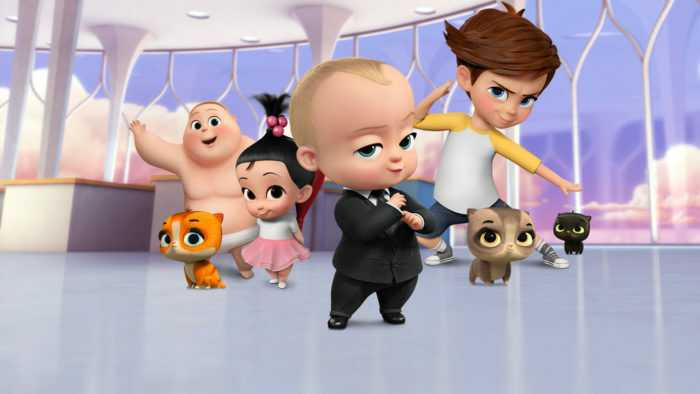 Much like the movie, Boss Baby’s small-screen has a barrage of jokes aimed at adults – “This is like negotiating with North Korea!”, “Cats do their doodie in boxes like its medieval England or modern-day Canada” – sprinkled in with the puke and poop (or lack of it – Boss Baby spends a whole episode attempting to cure his constipation). 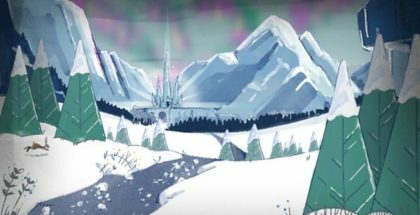 Every instalment is a doozy but the stand-out has to be the (mildly controversial) episode in which Boss Baby is sedated for an aeroplane flight (“My parents drugged me!”) in which he has an interesting trip in many senses of the word. But, for the loudest guffaws, the depiction of a baby restroom is the winner – they stand around filling their diapers in an otherwise empty office cubicle. Now that’s a scene to unite the generations. The Boss Baby: Back in Business is available on Netflix UK, as part of £7.99 monthly subscription.